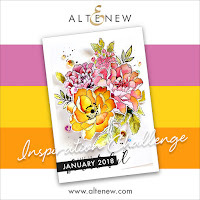 Here we are - 2 of 3 Altenew Challenge cards; my second entry into the Altenew Inspiration Challenge. This one is more of a clean and simple card and I was trying a technique I sort of improvised. I swiped two small distress ink cubes down from the top of the panel. 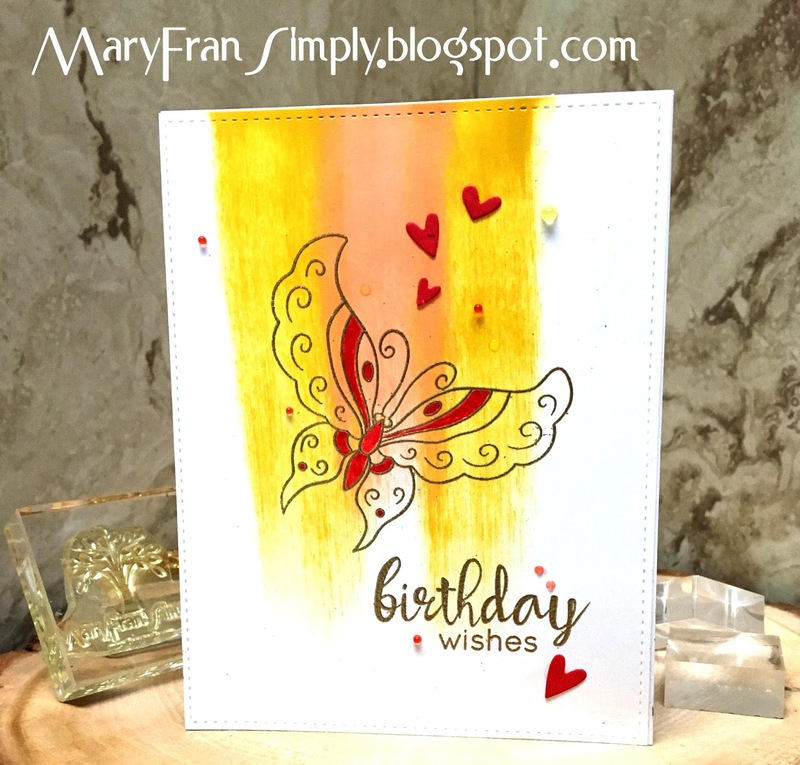 Once it was dry I stamped the butterfly (which I lovvve) and gold embossed it. I also gold embossed the sentiment. I colored the pink color into the different areas of the butterfly. 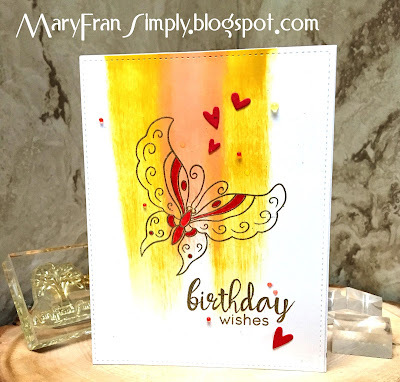 I die cut a few hearts from the same color and adhered them to the card, and then used some pink and gold Nuvo jewel drops. Lastly I used the MFT stitched rectangles to cut the panel and adhered it to an A2 card base. Thank you for reading this, and the materials used are listed below. 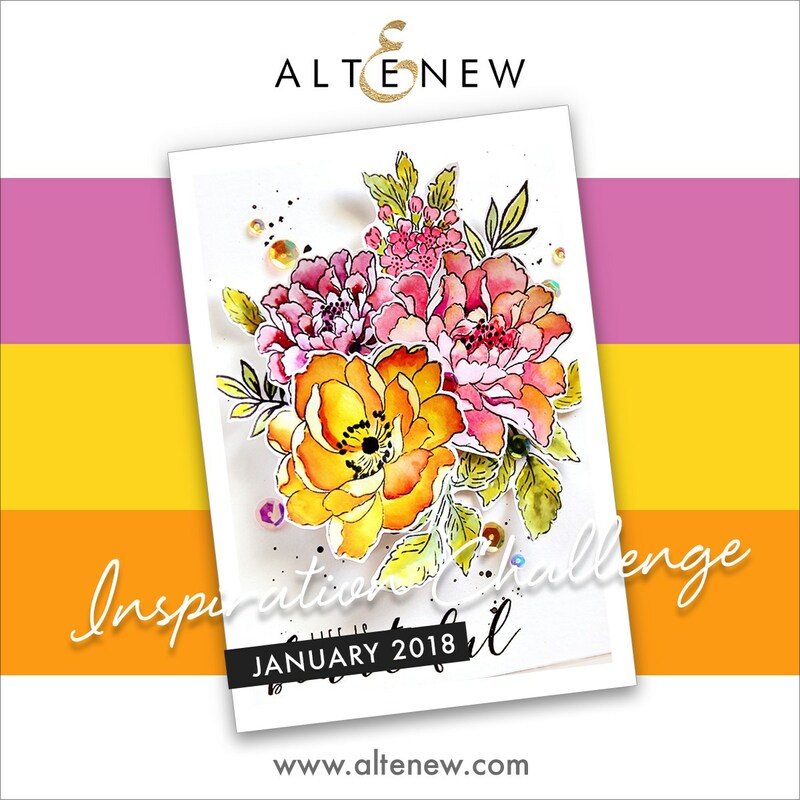 Looks like you had heaps of fun with this technique, I love the bright colors and the clean and simple design! Year Of The Dog...Happy Chinese New Year!